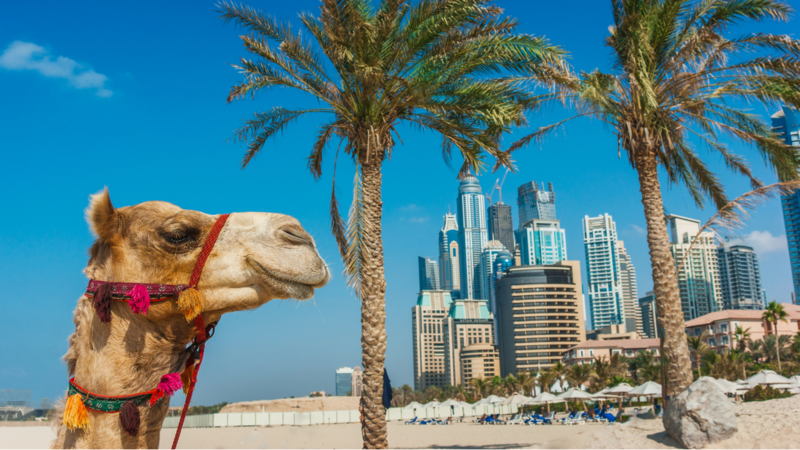 ​From champagne yacht parties and skyscrapers to sparkling beaches and exotic camel rides through the desert , Dubai offers unique experiences that are second to none. Voted one of the safest countries in the world last year, Dubai has won the hearts of millions around the world and for good reason. Arrive with curiosity and come home feeling refreshed, inspired and literally on top of the world. You will find no other travel package like this. Our group trips give new meaning to the word "retreat." 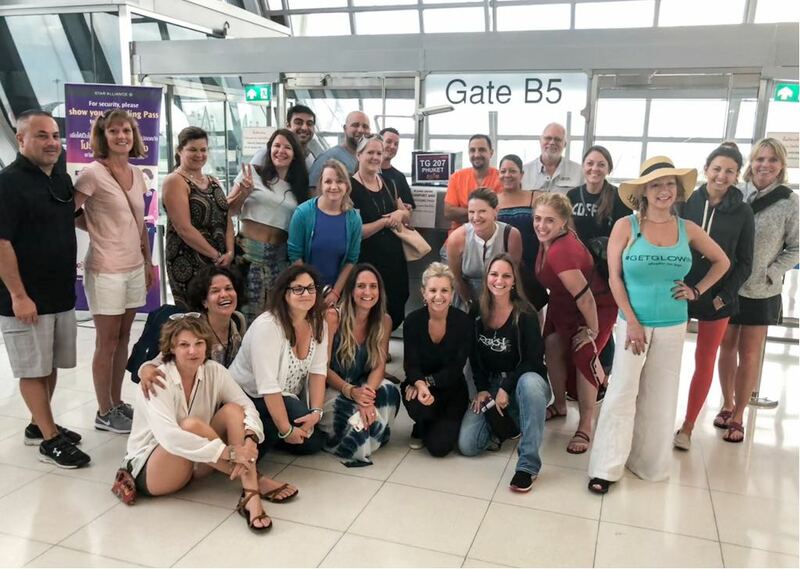 Instead of posting up at a retreat center, join a diverse group of fun loving, positive people as we fully immerse ourselves in the food, culture, traditions and adventures that make Dubai one of the most sought after locations on the planet. 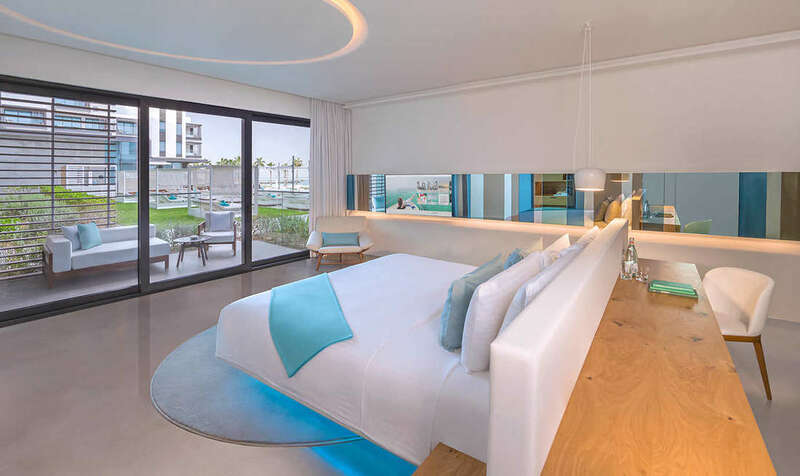 We have teamed up with our absolute favorite on-trend hotel brand Nikki Beach Resorts this year! Be sure to explore all the links on this site to learn more about this luxury trip. We can't wait to meet you! Here is a look at what your week will be like! ​After a brief group orientation, start your first full day in Dubai off right with a gorgeous breakfast spread followed by some light beach side yoga to shake any jet lag away. Then, join your fellow travelers for lunch in the Al Fahidi Historic District, one of the oldest neighborhoods in Dubai. Enjoy a meal of local cuisine while chatting with an Emirati local about UAE culture, customs and religion. Our hope is that each traveler returns home with a new found knowledge and love for the countries we visit. The afternoon is yours to relax or explore. A special welcome dinner will wrap up the day. Expect lots of laughs, hookah, cocktails and smiles. Embark on a journey of true luxury aboard a private speedboat or yacht ( depending on season ) as we float around the famous Palm Islands . Take in stunning views of famous landmarks like Burj Al Arab ( the most expensive hotel in the world ) the Atlantis and the World Islands. Enjoy a champagne toast and snap lots of pics to make all your Insta friends jealous back home. ​The rest of the day is yours to do as you please. If you're a night owl, be sure to check out the club scene that Dubai is famous for! Downtown Dubai and the Dubai Marina are just 15 minutes away from our hotel. There is a reason why International DJ's and celebrities flock to the UAE year round. This city knows how to party. Yoga will be offered this morning before breakfast. The first half of the day is open for you to do whatever your heart desires. 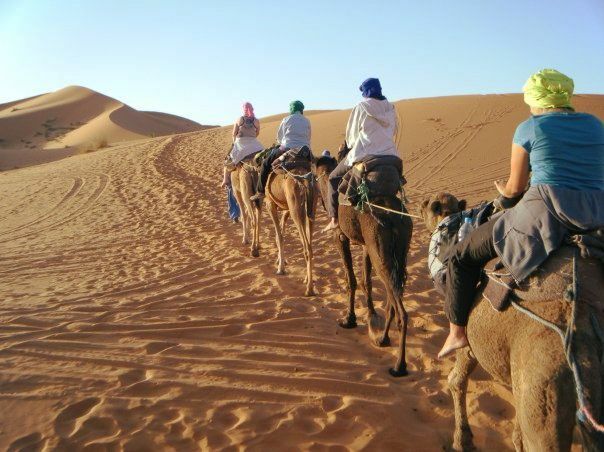 In the afternoon we will be taking VIP transportation outside of the city for a sunset ride through the desert on camel back. Stop at a your Bedouin camp to enjoy an authentic meal, get henna art done, smoke some shisha and watch the canopy of stars appear over head. This is sure to be a night you will hold in your heart forever. After Yoga and Breakfast , join a group tour for a 1 hour drive outside of Dubai to the neighboring city of Abu Dhabi! 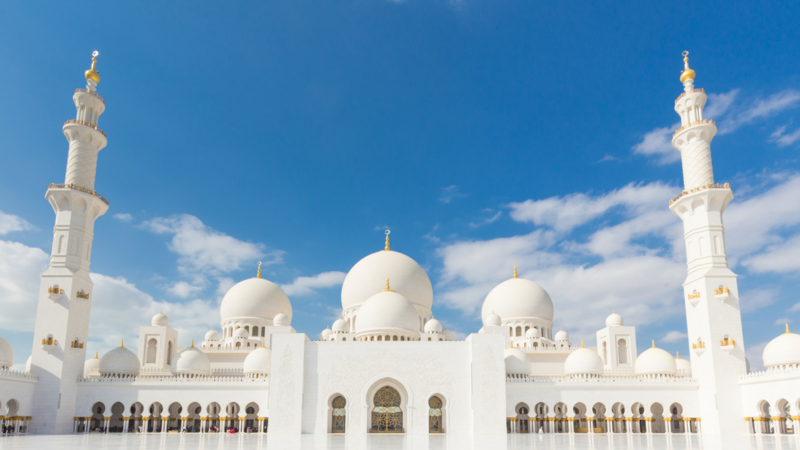 Here you will have the opportunity to walk through the majestic Sheik Zayed Grand Mosque. Marvel at the gorgeous architecture and learn a bit about the culture, history and design that make this one of the most exquisite landmarks to visit in the UAE. After visiting a few other must-see places in the city such as Ferrari World, Heritage Village and Corniche Road, head back to Dubai to enjoy the rest of your day. This Abu Dhabi day tour is an optional excursion so if traveling outside of Dubai is not your thing, you can choose to use this time to relax at the resort pool, take a stand up paddle board class, treat yourself at the spa, visit the world's largest mall or get your feet wet at one of the many massive water parks. The possibilities are endless. Our last day in Dubai will be nothing short of spectacular. Being Summer Solstice, the longest, sunniest day of the year , prepare to enjoy life to its fullest. 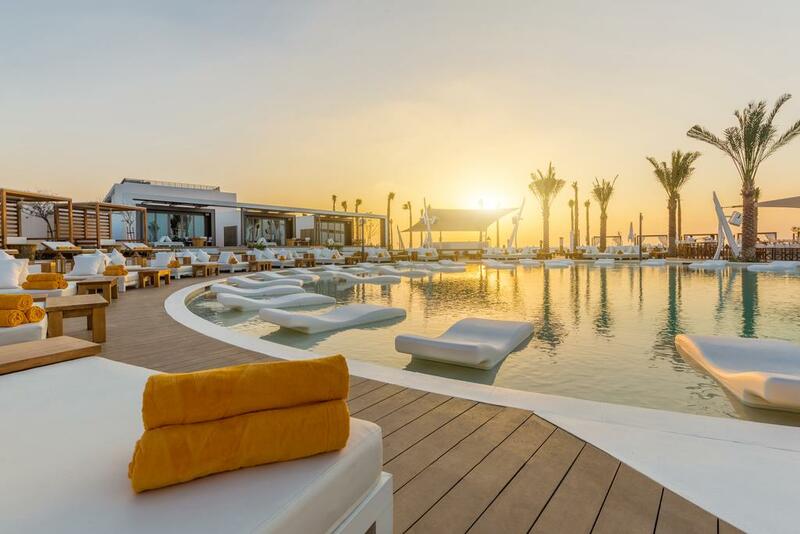 Start with a dip in the pool or join Michelle Ruiz for a yoga session overlooking the Dubai skyline. We have most of the day open for you to enjoy anything left on your wish list . This is the perfect time to visit the top of Burj Khalifa ( the tallest building in the world ) to get a view of the city from above the clouds. Join a Friday Brunch Party ( in the UAE brunch is typically celebrated on Fridays instead of Sundays. ) These parties are known to be over-the-top. Think massive food spreads, bottomless mimosas, inflatable unicorns and confetti. This is also a great day to sneak away to the traditional Gold & Spice Souks. Explore the winding alleyways while picking up some last minute gifts to bring home. Our Farewell Dinner Party this evening will be a night to remember. Exchange stories with your fellow travelers, take in the sunset over the Arabian Sea and partake in an Emirate ceremony to bring this magical week to a close. Wake up to a special yoga session designed to get you ready for the air travel ahead. After breakfast, your group leaders will assist you in getting to your next destination. No retreat centers or dorm rooms here! We only book 5 star Hotels for our retreats. This means you will have complete privacy during your travels as well as all the modern amenities that these hotels provide. 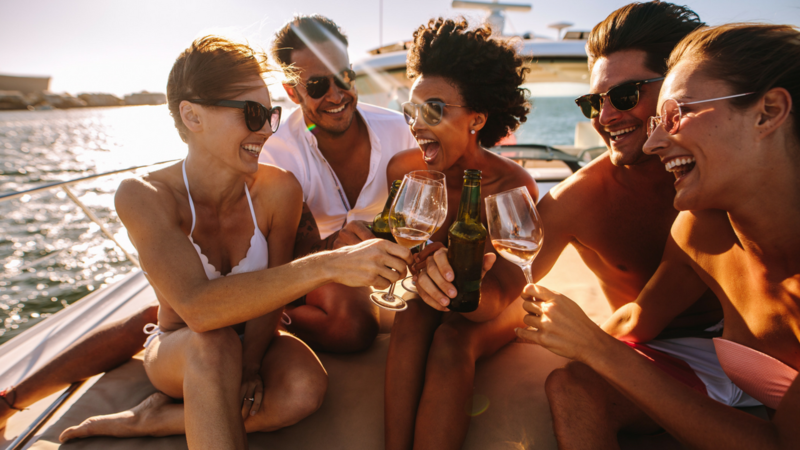 We find it important to have a doctor on site, concierge service, laundry service, gym, pool, sauna, spa, free wifi and reliable transportation for every where you wish to go. On our past trips we have had mainly solo travelers, some friends, couples and even family members join the adventure. You can read some of their reviews at the bottom of this page. These trips are designed for the discerning traveler. Luxury accommodations, daily gourmet meals, traveler assistance and included excursions are what set us apart. If you crave culture and love being treated like a VIP, this is the place for you! You must be at least 21 years of age to join this trip. You will plan to fly into Dubai International Airport DXB arriving on Sunday, June 16. Our resort is located 20 minutes from the airport. Approximate taxi fare is $10 USD. Your group guides will be waiting in the hotel lobby to greet you and assist you in checking in. If you would like to arrange car service from the hotel to pick you up, we can arrange that as well. Please contact Michelle Ruiz for limo rates. ​Please contact Michelle with any questions or special requests when booking. 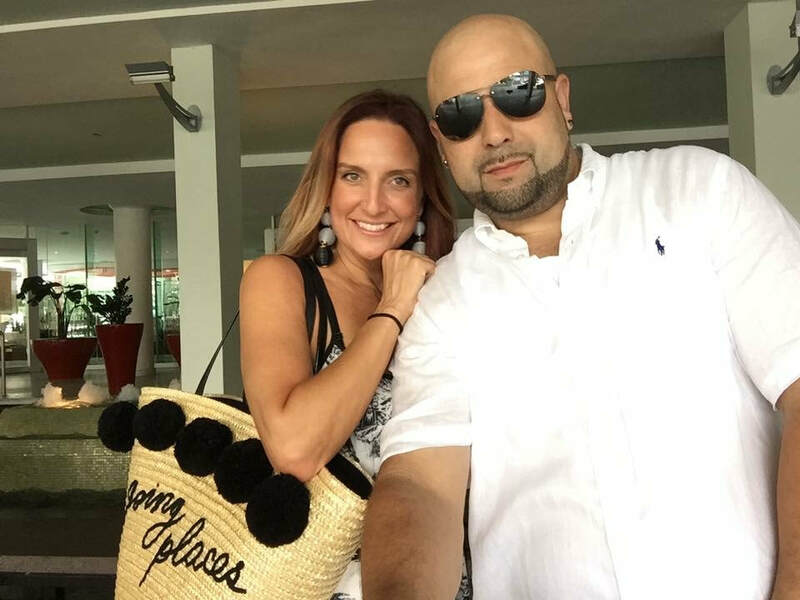 Michelle Ruiz is a full time E -RYT500 Yoga Instructor who leads Teacher Trainings, large scale events and workshops in the state of Florida and beyond. Having traveled to over 11 countries, her passion is providing once in a life time experiences for others. She believes travel is our greatest teacher and the number one way to reconnect with our selves when we feel we have lost our way. The Middle East is one of her favorite regions of the world to visit because of the kindness of the people, rich culture, desert landscapes and amazing food. She says that sharing the mindset & beauty of the Eastern world is truly the greatest gift she can pass on to her students and friends. You can read more about her here on the website ABOUT ME page. See You in The City of Gold!